You will get only occasional notes. That’s it – you’re a member! Then…frequent the site to keep up with Tribes’ News. Be part of a friendly, thriving community of musicians and music lovers! 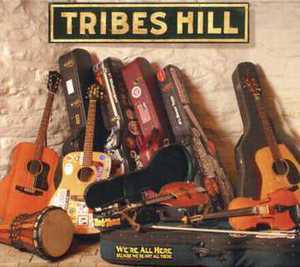 Tribes Hill Presents - Music at venues in Westchester and beyond includes benefit concerts for members in need. Gatherings – First Monday of the month at our members’ homes. Gatherings are open to all - members, non-members, musicians and music lovers alike! Here’s where we socialize, informally and collaboratively make music, sing, listen; meet, network and share a meal. Always fun! Annual Summer Solstice Fundraiser - Tribes Hill open business meeting and Hootenanny including open mic, performances, campfire song circle, and pot luck dinner at historic Hammond House in Valhalla, NY. Annual Winter Holiday Celebration - December's Gathering where we rehearse Solstice songs, collaboratively make music, sing, or just listen; meet, network and share a potluck dinner. Annual Winter Solstice Fundraiser - Tribes Hill member performance in a local public venue – the highlight of our year! Northeast Regional Folk Alliance Conference (NERFA) – Participate in annual fall event for performers and presenters of folk music. Benefit Concerts - We celebrate the gift of giving for members in need. DONATIONS AND CONTRIBUTIONS SUPPORT US, so please give generously!